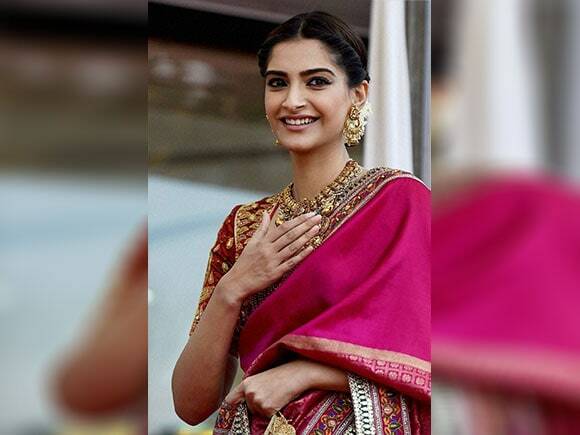 Dressed in a South Indian style dark pink Abu Jani-Sandeep Khosla sari with heavy embroidery and a rust blouse with golden wire work all over, Sonam looked nothing less than a beautiful Tamil bride. 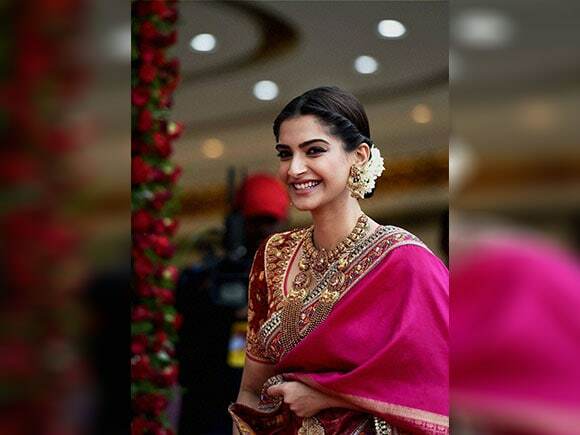 The actress completed her look with golden jhumkas and a matching antique gold necklace. 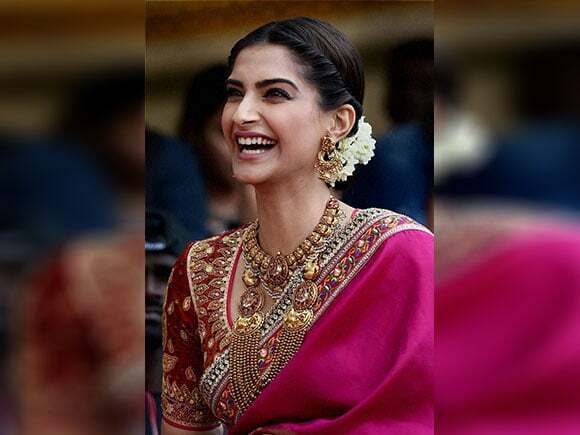 Sonam Kapoor all smiles at the event. 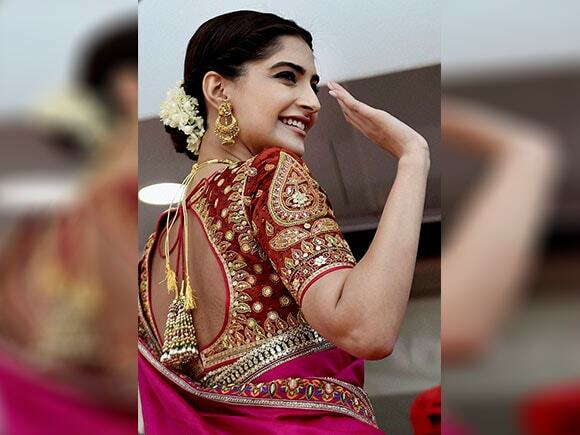 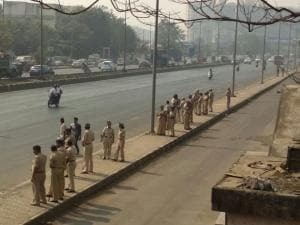 Sonam Kapoor posing for photographers.